Bikaner : A MiG 21 fighter jet crashed in Shoba Sar Di Dhani area in Rajasthan's Bikaner district. The pilot ejected safely from the plane. According to sources, the MiG-21 took off from Nal on a routine mission when it suffered a technical problem. Initial inputs suggest that the aircraft malfunctioned due to a bird hit, a defence spokesperson said. The cause of the accident will be investigated by a court of inquiry. MiG 21 is believed to be the most accident-prone fighter jet, some tag the plane as "flying coffin" or the "widow maker”. 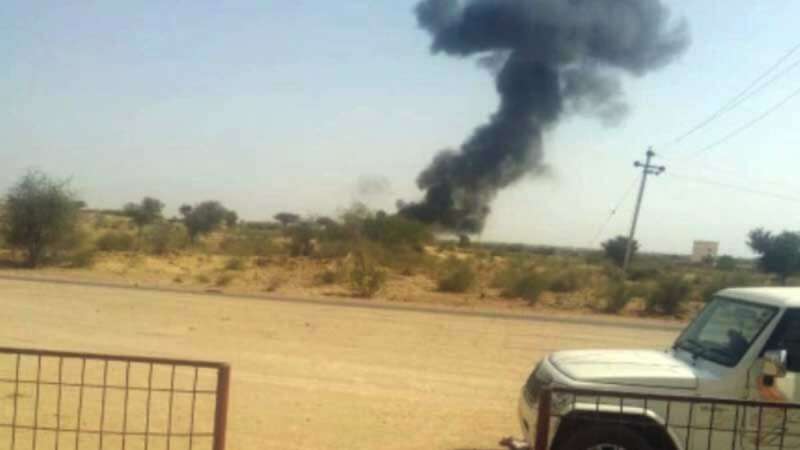 In last six months, two fighter jets have crashed with one reported casualty on 28 November 2018. From 1963-2015 the MiG-21 has had a total of 210 accidents. Of these, a maximum of 16 accidents took place in 1999, according to the Bharat Rakshak, a database that gathers information on the Indian Armed Forces. A 2012 India Today report states that MiG aircraft crash led to the loss of lives of 171 pilots, 39 civilians and eight persons from other services. The report further mentioned that the cause of accidents to be both due to human errors and technical deficits.